Today, consumers are overwhelmed. In our connected society, shoppers have instant access to more information and choices than ever before. They’re also bombarded by more marketing messages than in the past, which often makes it harder for consumers to find the products they actually want. This is why it’s imperative for businesses to incorporate branding into their packaging. By doing this, your packaging becomes a direct reflection of your brand identity, which increases the likelihood of your products making a connection with consumers. It’s not just companies that sell products through traditional outlets such as brick-and-mortar retail locations that have to figure out how to make their products stand out. Online retailers are burdened with the same task of differentiating their products on and off the shelves, digital or otherwise. 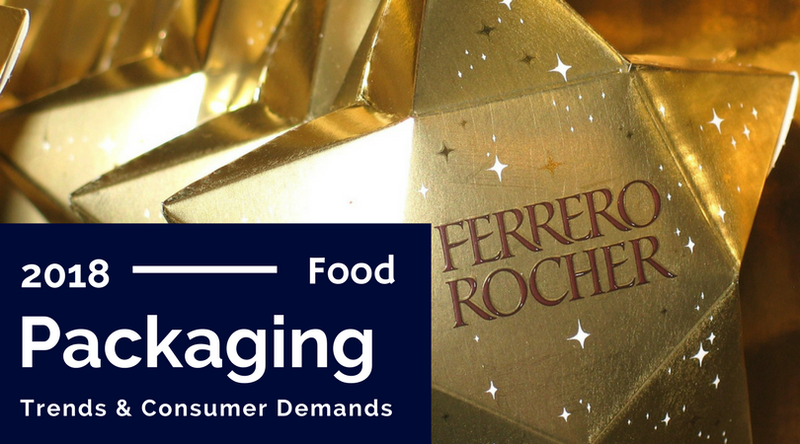 In recent years, consumers have expressed a desire to be engaged and entertained by packaging. Savvy retailers have realized this and attempted to create a multi-sensory experience consumers will enjoy as they open the products they buy. Stand-Up Pouches: The popularity of stand-up pouches continues to grow. Retailers like this packaging because it’s versatile, which gives designers a lot of leeway to create clear, eye-catching designs that make their goods stand out even when the shelves are crowded with competing products. Because unfilled pouches can be shipped and stored flat and consume less space, they have a smaller environmental impact. Appealing to the Senses: While the visual look of packaging gives consumers their first interaction with products, touch also influences a person’s decision to buy something at the price they’re willing to pay for an item. With that in mind, businesses are now incorporating design elements into their packaging that will provide a tactile experience. These tactile experiences are intended to make consumers associate positive, desirable attributes with products, such as quality, freshness and luxuriousness. New Materials: Many retailers are using new materials to package their goods. One of the most noticeable beverage packaging trends is the shift to using polyethylene terephthalate or PET bottles instead of glass. PET packages weigh much less than their glass counterparts, which means they leave a smaller environmental footprint during shipping. They’re also safer for consumers to handle and manufacturers to transport. Sustainable Approaches: Consumers continue to demand environmentally friendly packaging and companies are increasingly aware of the benefits of innovative recycling practices. Beverage giant Coca-Cola is at the forefront of eco-friendly packaging in the beverage industry, and others are expected to follow the company’s lead. Companies such as Zero Waste Box are being recognized for their zero waste initiatives, with the business having earned Environmental Leader’s 2015 Top Product of the Year Award. Personalization: You don’t have to look beyond Coca Cola’s “Share a Coke” campaign to understand the value of personalization. Personalization engages consumers, with some companies taking the concept far enough to allow them to participate in the design process. It’s likely that brands will use data to personalize their goods within specific target markets as they move forward. Clean, Clear Labeling: Consumers have an unmistakable desire for transparency that can only be delivered by clean, clear labeling. Products that have transparent labeling instill trust in consumers. Vintage Design: Vintage packaging is becoming increasingly popular with brands in both the food and beverage industries. From rum producer Don Papa to Dr. Feelgood’s frozen treats, brands in many niches are using retro designs to instill a nostalgic feeling in the hearts and minds of shoppers. Mobile-Engaged Packaging: Mobile-engaged packaging refers to packaging that consumers can engage with via their smartphones, this is typically through the use of special codes on packaging that are scanned with a smartphone. These codes can be for special offers, contests, and might require customers to download the product’s app in order to take part. With shoppers having so many choices available to them, mobile-engaged packaging has grown in popularity because it engages consumers and this engagement typically increases brand loyalty. Simplicity: Consumers want the information they need to make a purchasing decision to be delivered simply, which is why many brands have simplified their messages and are now communicating what consumers want to know clearly and boldly in their packaging designs. Simple messages help products stand out in the “noise” of other packaging styles. Shelf Life: “Shelf life” doesn’t refer to how long a product lasts in this context. Instead, it refers to where consumers will want to store a product. Consumers want products they can display. As a result, a lot packaging designs are now geared toward getting consumers to keep products out in the open, where other consumers can potentially se them, rather than in the closet or under the bathroom sink. If you are looking for a custom candy and snack manufacturer to produce and package your product, it’s time to contact the Warrell Corporation. They have many of these current packaging capabilities to make your product stand out. The Warrell Corporation’s Food Safety Management system meets new federal guidelines as required; the plant is FSSC 22000 certified, ISO 9001 certified which equivalent to SFQ Level 3 quality food certification. Call or contact Warrell Corporation today, our team of experts look forward to assisting.